Do you keep manual time cards? Are you stuck adding up hours each month from an old paper punch card system? Do you want time clock data that is accurate and up to date? Do you want this in an easy-to-use system that doesn’t cost the earth? 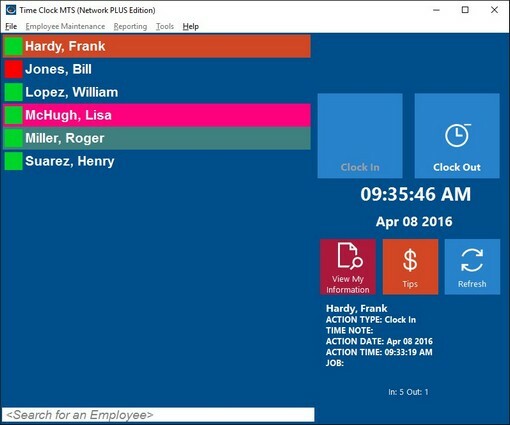 Time Clock MTS is EASY to use. If your employees can use a mouse then they can use Time Clock MTS. It’s as simple as clicking on their name in a list and clicking a button to punch in or out. You’ll be able to see at a glance who is at work, reports are fast and flexible, and you can receive email notifications when employees arrive at work, request time off, or exceed your overtime limits. The time clock software works very well for us because it’s so easy to explain to new employees, and very easy for an employee to clock in and out, even if they’re not particularly computer literate. You will always know who is at work and who is late. 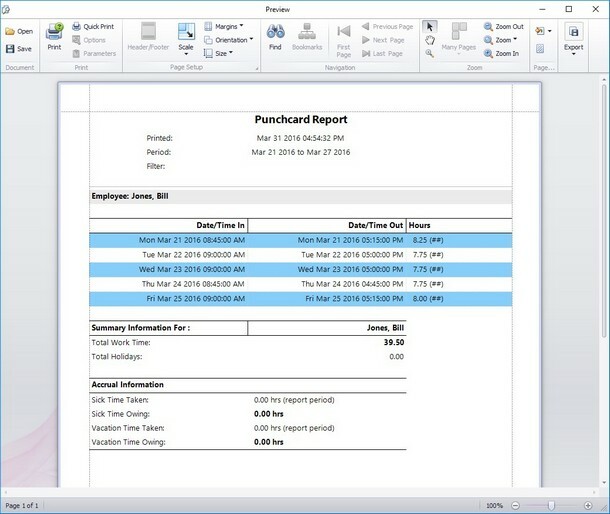 You won’t have to chase late timesheets, and you won’t spend hours doing payroll. It’ll be done in minutes. No more guessing as employees fill in time cards, no more calculation errors or over-payments, and instant compliance with local overtime and vacation accrual requirements. Set your overtime rules and accrual rules and our time clock software will take care of everything else. Times recorded are accurate to the second so there will be no more casual time clock fraud. More sophisticated security measures are available to stop buddy punching and time clock manipulation. Employee PINs, fingerprint security, employee image capture, and a full time punch audit trail. Time Clock MTS has it all available. Big or small. There’s an Edition of Time Clock MTS to suit your business. Not sure what Time Clock MTS Edition you need? 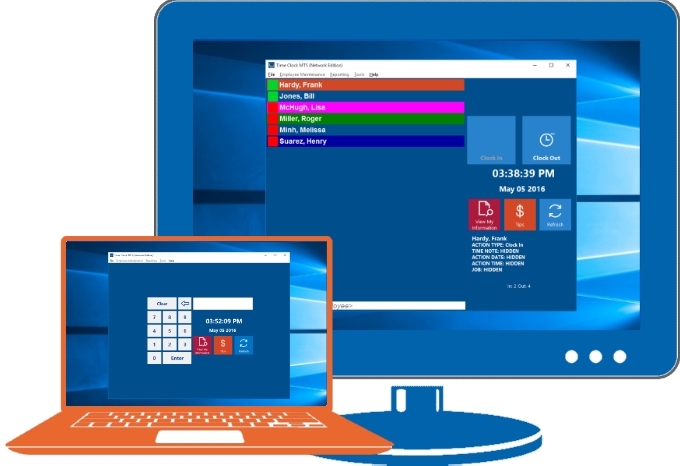 Try it for 30 days without restriction on one or many computers and have your employees start clocking in and out!